<span style=”color: #0000ff;”><a style=”color: #0000ff;” href=”http://ottawacentrallibrary.ca/”><strong>The Ottawa Public Library (OPL)</strong> </a></span>says the city should build a new central library at 557 Wellington St., west of Bronson, sharing the site with the federal government’s national library’s public-facing services. The project, with an estimated construction value of $168 million, should be constructed on a design-bid-build model, library CEO <strong>Danielle McDonald</strong> said. City Council will be asked to approve the recommendation in February. Once the city enters into an agreement with the federal government for the <span style=”color: #0000ff;”><a style=”color: #0000ff;” href=”http://www.bac-lac.gc.ca/eng/Pages/home.aspx”><strong>Library and Archives Canada (LAC)</strong></a></span> share of the project, the city will invite architects to compete for the design, followed by a general contractor to build the project once the final design is approved. The RFP for the architect could be announced by mid-2017, once the city and federal government set out their framework agreement. Ground breaking would be in mid-2018 and the new library/LAC building would open in 2020. The city’s portion of the overall 40,000 sq. ft., four story project, would be $99 million, with the federal government paying the rest to accommodate the LAC services. OPL consultants and board members presented the conclusion of a site review, which initially assessed 12 locations, at a City Hall presentation on Dec. 15. They said the 3.56 acre parcel of land just west of Bronson Ave. received the highest ranking in a two-stage evaluation process. 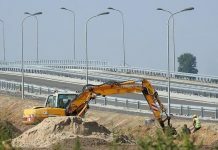 It is the only site of all the options initially considered on city owned land, a factor in the project’s economics, because there will be no need to purchase or expropriate the land. The site’s advantages include its close location (four minute walk) the Pimisi LRT station, and a two-minute walk from Bronson. It will have protected views to the north, and is near an escarpment, providing unobstructed Ottawa River views. 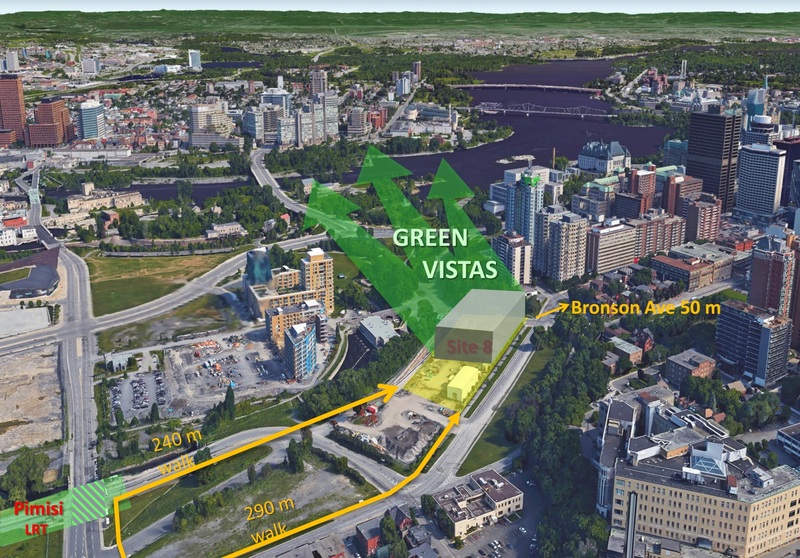 The site is also near the Lebreton Flats, which is being redeveloped. The library contracted with <strong>Turner and Townsend</strong> to come up with construction cost estimates. 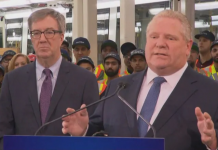 These could vary in real life by 20 to 30 per cent, but McDonald indicated the contingencies within the proposed budget could cover much of the variance if things went on the high side. Parking, outside of limited facilities for disability access, is not included in the plan; the library proposes a review of options including a separate parking structure that might be managed or funded separately from the library – and underground parking could cost $19 million. Not everyone is happy with the proposed location. Somerset Coun. <strong>Catherine McKenney</strong> said in the question and answer session after the briefing that the site choice appeared to be a done deal. “It’s not possible to sit through this presentation and not come to the conclusion that this was a forgone conclusion,” she said. McKenney believes the 557 Wellington site will be hard to reach, especially for people with disabilities. People who work and live downtown will find it relatively hard to get to the new location. However, McDonald and <strong>Tim Tierney</strong>, chair of the OPL board and councillor for Beacon Hill – Cyrville, said they believe that the proposed site is the best possible choice. Consultants estimate that the shared location with the LAC will save about $13 million over the cost for a stand-alone city library. The federal government would fund its share of the costs. The city would also use development charge funds, and would earn an unannounced amount from the sale of its current location 120 Metcalfe St.
Only the LAC’s public facing elements would move to the new location, including reading rooms, a gallery area and a genealogical research service. Officials say LAC’s current Wellington Ave. location will continue to hold its collections.